Conan O'Brien had his 'charity auction walk-on role' tonight on How I Met Your Mother. 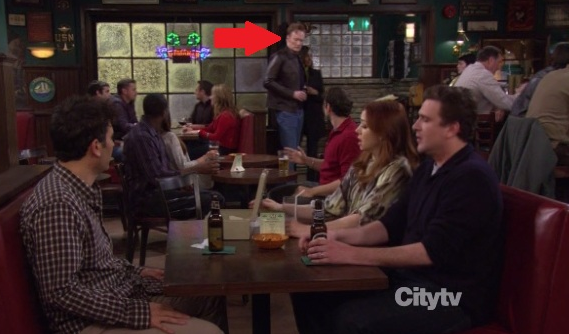 You may remember a while ago when Conan said that he bought a walk-on role on How I Met Your Mother at a charity fundraiser auction that was also attended by Neil Patrick Harris. When he bought it the producers said that they would actually give him a guest spot and Conan said no...he wanted to be the creepy guy at the bar trying to get his face in the shot. Or, he could just walk through the bar. You couldn't miss that tall gangly ginger with the sick hair. Atta boy Conan.